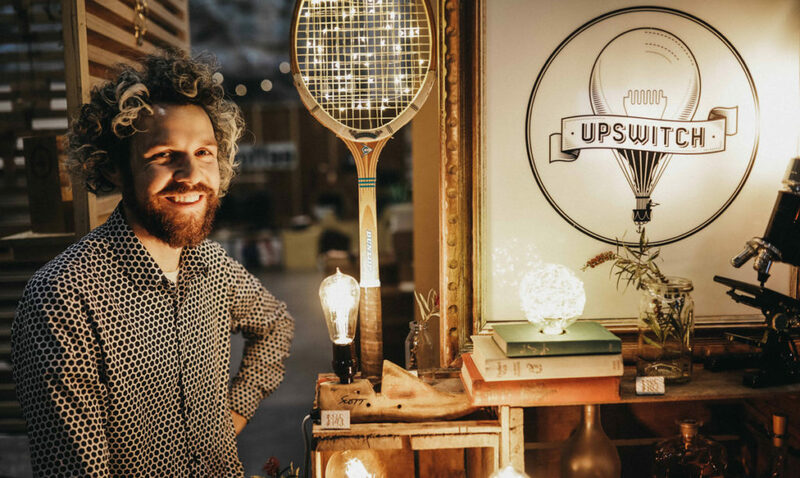 Michael Hanley has turned a fascination for ‘old stuff’ into a business. 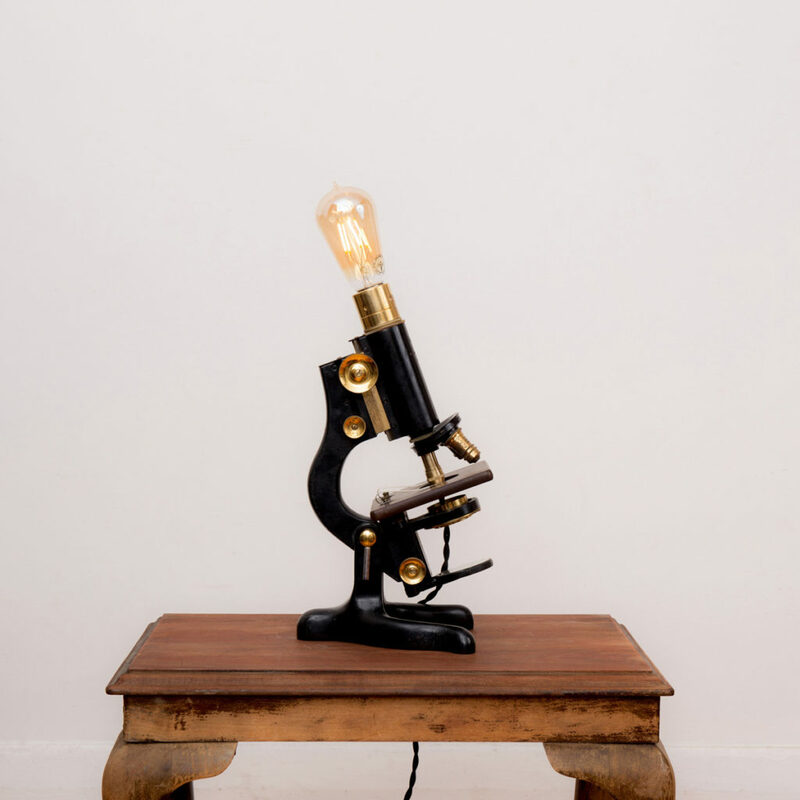 Laboratory equipment replaced long ago with electronics; kitchenware from an era when nothing plugged in; and photographic equipment that is distinctly old school, are among Michael’s favoured items. Markets, op-shops, garage sales and hard rubbish supply the raw material. Relics are reclaimed and many are given a new, very different life. Starting out as a way of saving money, Michael began to prefer the aesthetic of older things. The quality and style they contained resonated with him. While travelling in 2014 Michael was inspired by artisans he saw at markets who were working with repurposed objects. He stayed with an assemblage artist in a tiny German village, who made beautiful artwork from discarded objects. Michael was thoroughly inspired and realised the potential in all the vintage paraphernalia he had collected over the years. Michael’s passion for preserving our environment and changing the current throw-away culture came together as functional and unusual pieces of art. In order to see where he could take his new-found skills, Michael signed up for NEIS training in 2015. Working through the goals and planning needed by a new business, Michael explored in detail all the potential items he could create. Lights shone out, and he got really excited by the idea. There is a growing number of people who don’t want to buy the mass-produced and the disposable. When these people needed lights, Michael’s new business Upswitch would be ready to help. Upswitch is based in Brunswick in Victoria. Each piece is hand-made and uses a low wattage LED bulb. 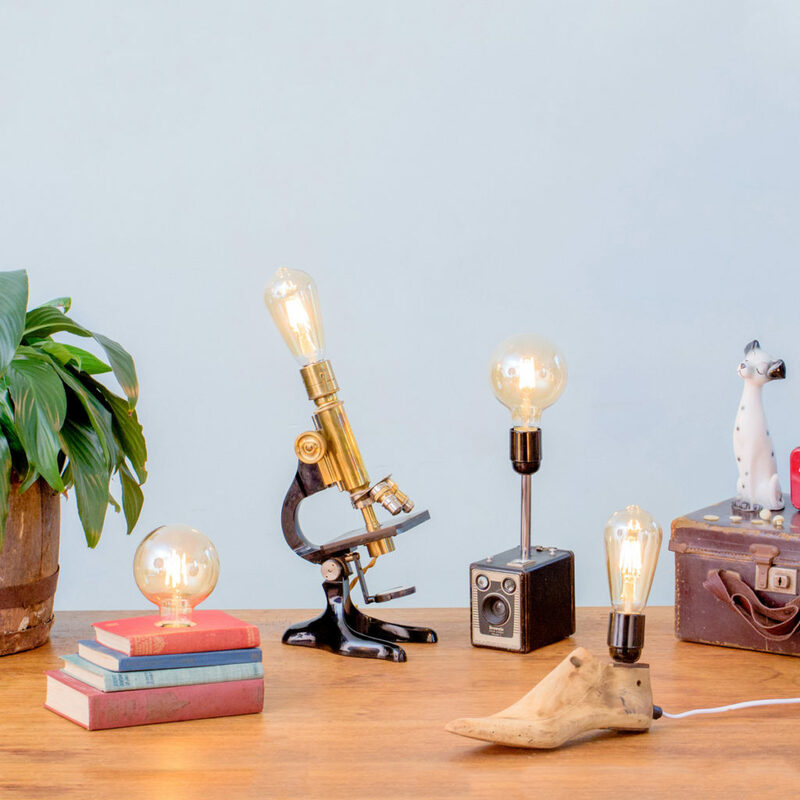 Items available online feature robot lamps and wooden boats with a bulb. Old cameras and microscopes also light up! The quirky products are naturals for Instagram. All photos of Upswitch creations are styled simply and sympathetically; appealing to an audience looking for unique pieces. Appearances at design markets in Melbourne, Adelaide, Sydney and Canberra are thoroughly promoted online. Mother’s Day and Father’s day gift ideas aren’t forgotten either. Michael creates bespoke lamps for customers too, utilising objects with personal significance, or sourcing items on request and reinventing them. The stories behind these special commissions are often shared on Facebook. 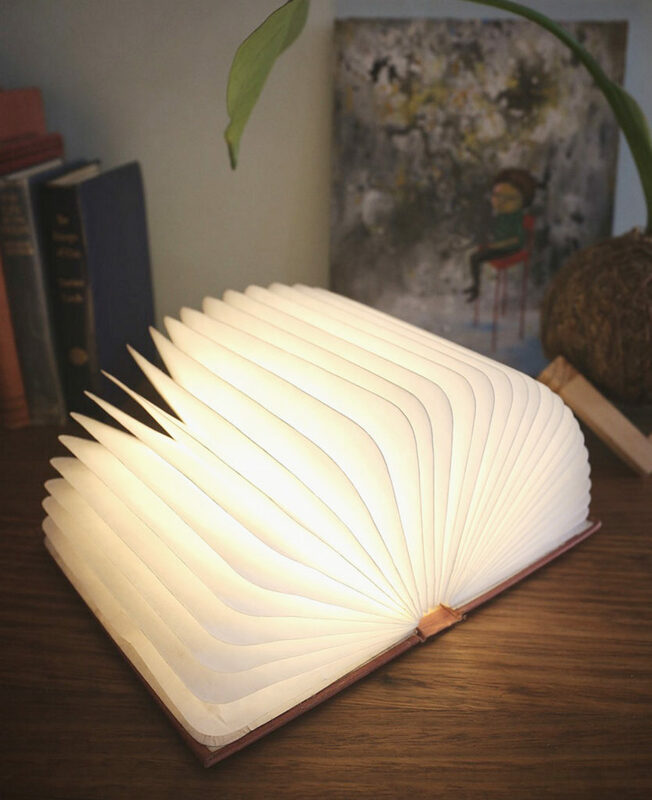 The ‘book lamp’ is a stroke of poetic genius – it’s a book… and it’s a lamp! It has a USB rechargeable battery, and is made using a vintage book cover; turning on when opened, and off when closed. The warm glow adds a lovely ambiance to a room, and of course, it can be stored on a bookshelf! Do you have a bright idea for a new business? Take the first step to becoming self-employed with free NEIS training. Use the postcode search tool to locate your nearest NEIS provider for a chat.